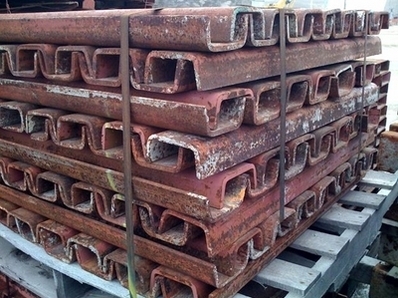 HUGE inventory of used SYMONS brand 5" Steel Waler Strongbacks in Excellent condition and at GREAT prices. 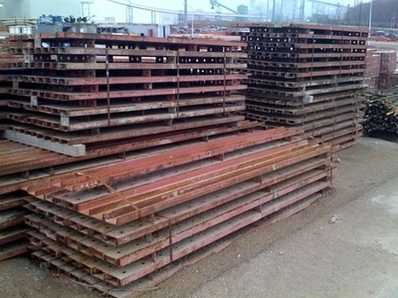 LARGE inventory of SPLICE CHANNELS. For typical walls, form connecting Wedge Bolts are only required at standard tie connection positions. Additional Wedge Bolts are utilized at other positions for attachment of walers, scaffold brackets or other accessory components. Walers should be installed as soon as enough panels are erected to cover the waler lengths to be used. 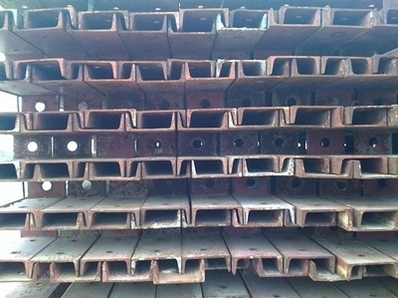 Likewise, alignment bracing should be installed immediately following the installation of each length of waler. Nailing the bottom panel rail on the alignment form side also takes place immediately Foundation walls for heavier commercial and industrial construction usually require that one form side of a wall be erected first. Some of the reasons for this procedure are: rebar placement and tie-off alignment to form face, brick ledge and other boxouts to be framed in the wall. Normally, the first wall side set will incorporate all necessary aligning walers, strongbacks and form aligners for final wall alignment. Ties can be installed either with the first form side set or when the opposing panels are set.